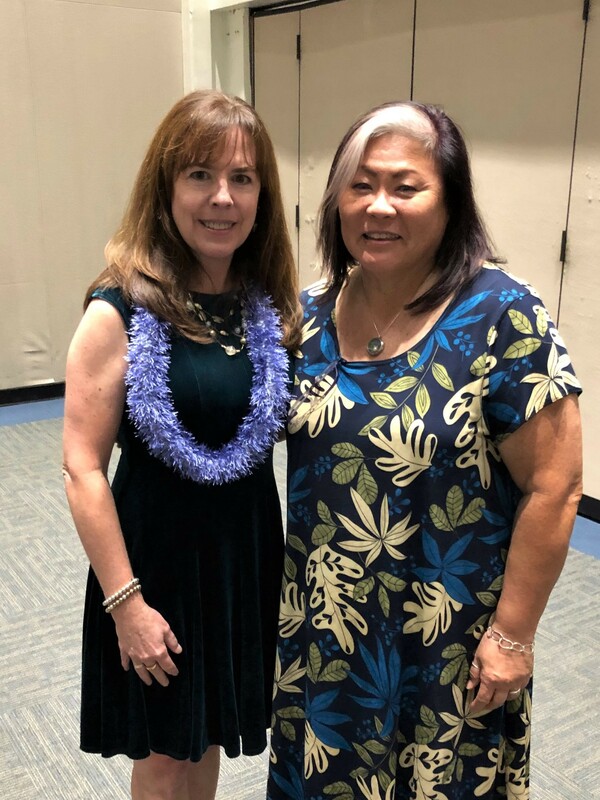 On December 8, 2018 the Long Beach Sports Medicine Club sponsored a banquet to induct Ms. Kris Boyle-Walker, MPT, OCS, ATC, CHT into their Hall of Fame. Kris joins a prestigious group of athletic trainers, Daniel Arnheim, Dan Bailey, Keith Freeseman and Wilda Bingham who have been inducted into this Hall of Fame. These special athletic trainers have touched the lives of several generations of Long Beach State athletic training students through their dedication to education, the profession, leadership and professionalism. Kris Boyle-Walker was recognized for her passion for education and teaching. She was a preceptor for the LBS Athletic Training program for 12 years and then had the opportunity to teach athletic training students and general kinesiology students at Concordia University, Chapman University and currently California State University, Fullerton. Kris has been involved for over 15 years with the NATA Education Council and Convention Program Committee as a member as well as chair. For District 8, FWATA, she currently serves as the Annual Clinical Symposium Meeting Education Program Chair and Honors and Awards Committee member. Kris specifically developed and help implement educational formats to allow for hands-on learning opportunities at the NATA Annual Symposiums. Many are familiar with the Learning Labs, Peer-to-Peer Workshops, One-Day and Weekend Workshop Programs. At FWATA she developed and implemented the pre-conference Learning Lab and Workshop formats. In addition to being an educator and athletic trainer Kris is an excellent physical therapist. The orthopedic surgeons in Orange County respect her special skills & ability to rehab their patients. These orthopedists thought so highly of her they got her to be the Assistant Director of the physical therapy clinic at Ortho Specialty Institute in Orange. Other “Athletic Training” accolades include FWATA Special Recognition Award & MDAT Award and NATA Athletic Trainer Service Award, Continuing Education Excellence Award & MDAT. Tonight Kris was recognized for her integrity, passion for the Athletic Training profession, being the quintessential educator & well-respected professional has put Long Beach State on the map with those at the national level.